When it comes to meetings, conferences, incentive and events (MICE), few locations are as ideal as Thailand, thanks to its strategic location with easy access via air, land and sea, a wealth of accommodation options, and a wide range of natural and cultural attractions that can enhance visitor experiences and create long lasting impressions. It is no surprise that Thailand is globally recognised as Asia’s Top MICE destination. Thailand continues to host many inspiring events and Phuket continues to develop as a major MICE destination. Many destinational events are staged in Phuket all year long supported by the island’s diversity as a destination for Sport, Touring, Gastronomy, Street Art, Culture & Crafts all set against a backdrop of stunning beaches, islands and mountainous hinterland. Annual events such as Laguna Phuket Marathon, Laguna Phuket triathlon, Phukethon, Food & Music Festival already enhance the island’s appeal as a major hub for congress activity. As a part of the above mentioned, Angsana Laguna Phuket has been recognised by the Thailand Convention and Exhibition Bureau (TCEB) for its outstanding services in providing meeting rooms of the highest standard and world-class MICE services. Thailand Convention and Exhibition Bureau (TCEB) have awarded the resort with full Thailand MICE Venue Standard (TMVS) accreditation, along with holding 3 major certifications which are CMP (Certified Meeting Professional), CIS (Certified Incentive Specialist) and CEM (Certified Exhibition Management). This will make Angsana Laguna Phuket the first and only venue in Thailand that has acquired all three major certifications on MICE. Across the resort’s 60 acres of grounds, the Angsana Team of event specialist work in partnership with their clients and staging companies to deliver event experiences to suit any requirement. From garden soirees, lagoon boat cruises, conference and ballrooms, intimate weddings at the Angsana Wedding Chapel to beachfront events for up to 3,000 delegates, the resort’s location on Phuket’s sunset coast guarantees to create vivid and memorable experiences for any visitor. The resort’s highly trained MICE professionals offer an integrated service to bookers and clients with the ‘Artistry’ of first class event design and “WOW” factor service delivery. Angsana Laguna Phuket collaborates with TCEB, TICA and TAT to promote Phuket as a MICE destination domestically, regionally and internationally. Our role is to promote MICE industry to support the country towards stability, prosperity and sustainability in order to remain relevant and competitive in the regional market place. Consistent with this philosophy, Angsana Laguna Phuket is planning the debut of a new event and exhibition centre with 1,000 square metres of floor space with the pre-function area overlooking the scenic Laguna waterways. A facility such as this will provide the capacity for events of up to 1,000 attendees and will enhance the existing MICE offerings of the resort. Compared with the other SEA nations, Thailand’s strong competitiveness in terms of quality, value and facilities combined with the integrated approach between public and private sector allows Phuket to remain highly visible as an event destination supporting world-class meetings and incentives destination. It’s undoubtable that Thailand is Asia’s most popular, world class, jet-set destination that has improved in quality over recent decades. The new campaign to promote Thailand ‘Open to the New Shades’ which highlights how visitors can discover new perspectives in existing Thai attractions, or indulge in experiences in new tourist attractions in the Kingdom and beyond. 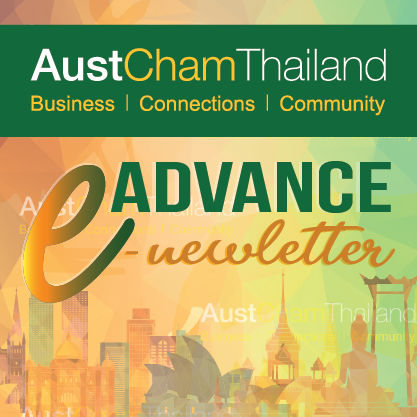 To build on this expansion, also focusing on key experiences that enhance its ASEAN Connectivity initiative with new destination combinations ‘Experience Thailand and More’ one of them includes ASEAN Peranakan and Nature Trail, which links the Andaman coastal cities while highlighting Phuket’s distinctive Peranakan culture and distinctive gastronomic scene.